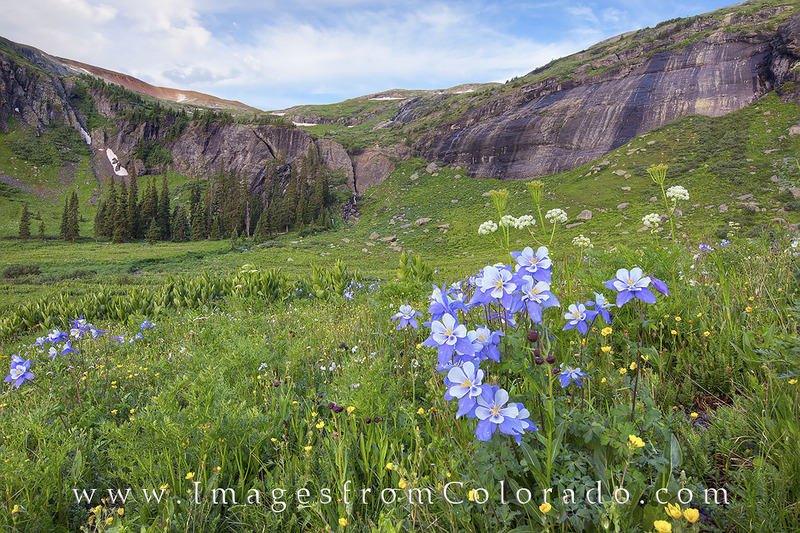 The state wildflower of Colorado, the Columbine, grows in the meadows and valleys of the Ice Lakes Trail near Silverton, Colorado. Nestled in the San Juan Mountains, this trail climbs about 3,000 vertical feet to Island Lake and leads you through spectacular scenery, especially when the flowers are blooming in the summer. Photo © copyright by Rob Greebon.